Spring is upon us and the sun is shining on tired looking UPVC downpipes, windows, doors and garden furniture across the country. Replacing exterior plastic features on a property can be expensive, and it’s often unnecessary. An alternative solution is to revive and extend the life of plastics by painting them. You will need to do a ‘health check’ of the plastic that you’re painting. 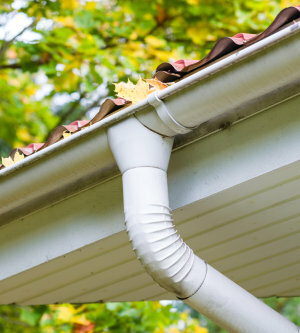 Replace any leaky gaskets and joiners on guttering, and fix or replace any faulty furniture on plastic doors and windows. Older plastics can be brittle, so make sure they are sound before painting. This is particularly important when it comes to garden furniture. In particular, check garden chair legs for brittleness. As with any decorating project, there is the possibility of encountering asbestos based materials, for example in old soffits, if the property was built before the year 2000. For advice on working with asbestos, visit the HSE website. The shiny surface of plastic is difficult for standard primers and paints to adhere to. Plastic primers and paints have excellent adhesion properties to help combat this. NOTE: You should wait a minimum of 12 months before painting newly installed UPVC. This allows time for the glossy surface to ‘dull’, making paint adhesion much easier. Plastics expand and contract in response to temperature (thermal expansion) so any coating needs to be flexible enough to cope with this constant movement. External plastic features are exposed to the sun’s UV rays year-round. Plastic coatings need to be UV stable to provide a finish that is resistant to sun bleaching. Sandpaper, paint brushes/rollers/sprayers, dustsheets, dust masks, cleaning products, paints and primers, personal protective equipment (refer to the product manufacturer’s safety data sheet). A painted surface is only as good as the preparation that has gone into it. To achieve best results, ensure the surfaces to be painted are sound, clean, dry and dust-free. Remember to work in a well-ventilated area. 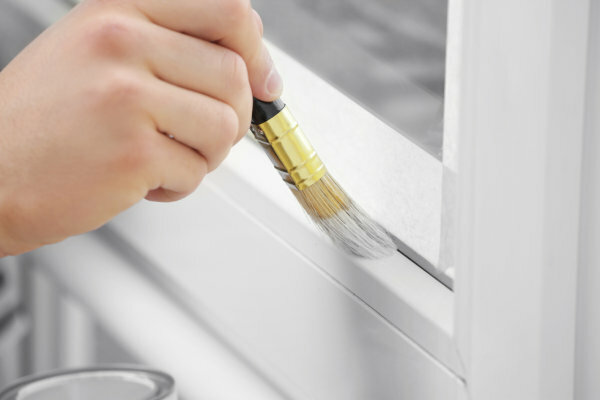 If you are painting UPVC windows or doors, remove any furniture such as bolts and latches. Use a scraper or stiff bristle brush to remove loose materials and create sound edges. Feather any edges with a fine grade abrasive paper. Wash all plastic surfaces with a suitable detergent or sugar soap to remove moss, algae and residual dirt. Use a fungicidal wash to remove and treat any mould and mildew. Always follow the manufacturer's instructions. Older surfaces may have a sufficient key, but new and shiny surfaces will need to be abraded with a fine grade abrasive paper. Clean the surface with methylated spirits or a suitable degreasing agent for a residue-free surface that is ready for coating. Allow to dry. 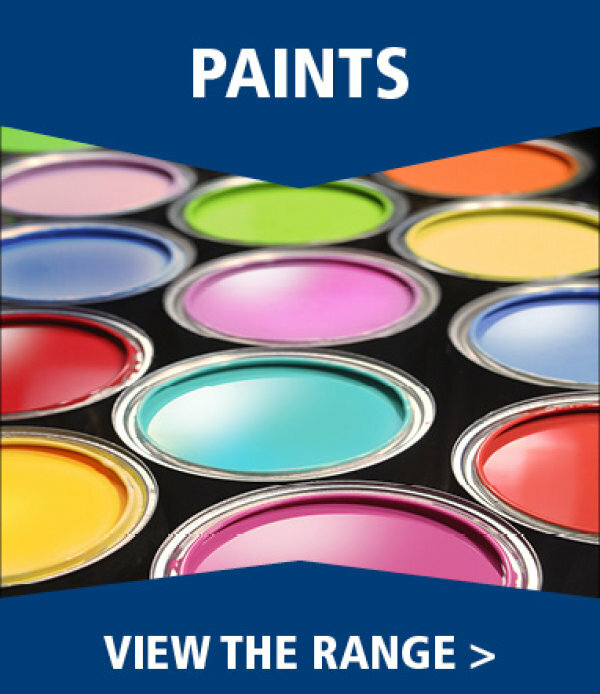 There are two main paint systems, what you choose will depend on your preferred type of paint and finish. Always refer to the manufacturer’s instructions to establish if a primer and undercoat is required. The main benefit of multi-surface paints is that they self prime. They come in a wide variety of colours and finishes that can be applied by brush, roller or spray. Both water-based and solvent-based paints are available for interior and exterior use. In most cases, multi-surface paint can be applied to previously painted surfaces. Quick-dry products are readily available, as are products with added features such as fungicidal degradation properties. Multi-surface paints are generally self-priming and use a two-coat system. The first coat primes and seals the surface and creates good adhesion. The second coat adds protection and provides an even finish. Standard exterior gloss paint is a suitable finish for plastic when used in conjunction with an appropriate primer and undercoat. Either acrylic or oil-based gloss can be used, and both are available in a wide range of colours. Typical application methods include brush, roller and spray. This is a more traditional system than using MSP as detailed above. Priming plastic surfaces improves adhesion and helps to create an even overall finish. Choose a low odour, all-purpose exterior primer and sealer that is suitable for use on plastics. A primer with mould and mildew resistant properties will offer even better results. Once clean and sound, previously unpainted plastic should be treated with an appropriate primer and allowed to dry. Patch prime any exposed plastic and allow to dry. Apply an acrylic undercoat if you are using an acrylic topcoat and an oil-based undercoat for oil-based topcoats. Allow to dry. Apply an appropriate acrylic or oil-based topcoat and allow to dry, followed by a second coat to finish. 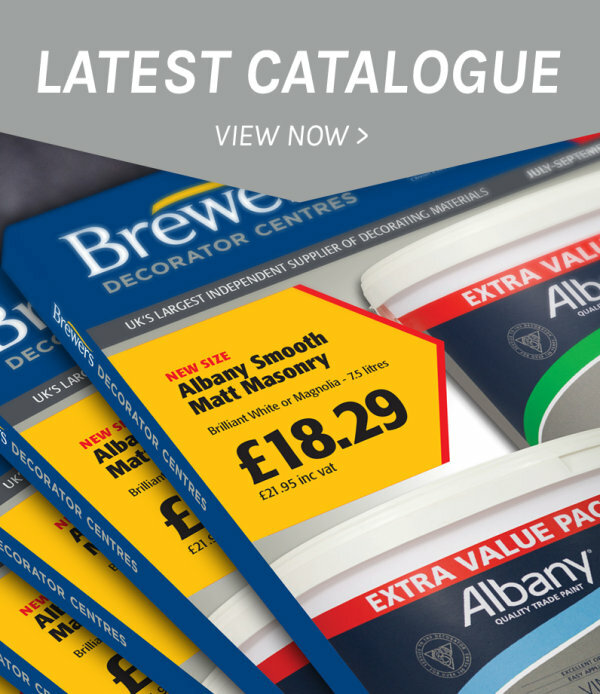 Take a look at Brewers range of specialist paints for your next plastic painting project.